Wow! This outfit looks so comfy and cute...guess that's why I love boyfriend jeans! And it definitely makes me miss the fall a little too much haha. Hope you're enjoying the holidays. 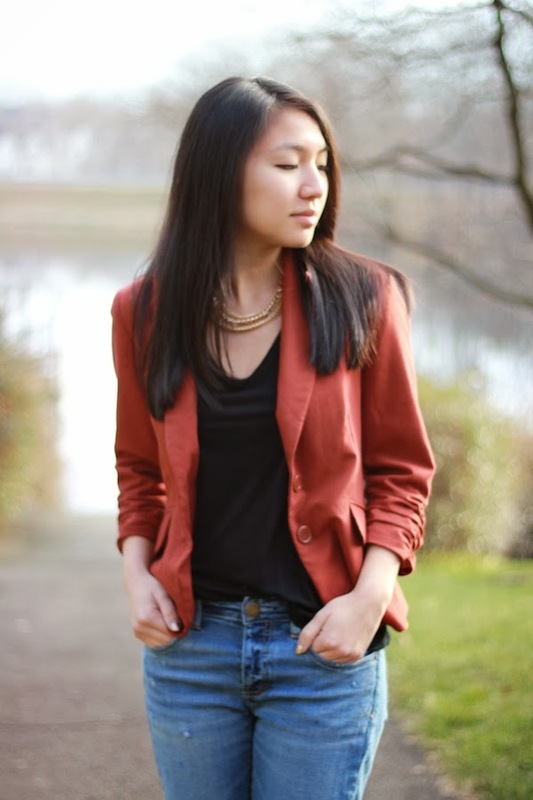 Love how simple but stylish this outfit is: the necklace, the blazer, and the roll-up jeans! <3 & yes, the view is sooo pretty! Happy Holidays love. Lovely outfit! I love the blazer! Would you like to follow each other on GFC, Facebook or bloglovin to stay in touch? Let me know, thanks! I have these boyfriend jeans and they are amazing especially for the price! Love the blazer, especially the color! It looks really good on you! :) Found your blog via your instagram !!!! Let's follow each other? 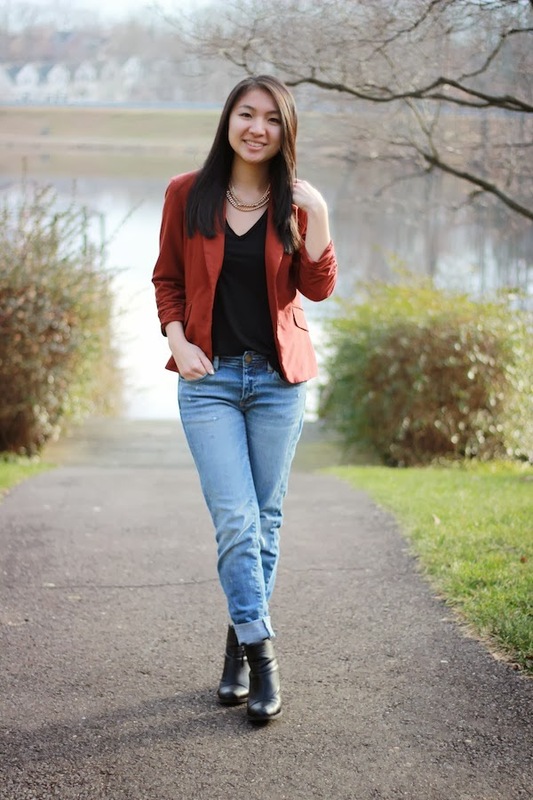 Love your boyfriend jeans and you styled them perfectly!